Positive early exposure increases the likelihood of a child choosing to master a subject, such as computer science (the study of solving problems using computers and their application), as an adult. Students also look for role models. For female students, or children of color, or neurological differences, the lack of exposure and role models in STEM fields means a lack of representation in the professional ranks. Code.org, a non-profit organization dedicated to bringing computer science into classrooms all over the globe through fun, accessible puzzles and videos, helps a teacher expose their students to coding and appropriate role models in computer science. Code.org delivers content in four channels: offline, paper driven lessons to be delivered in the classroom; online puzzles which illustrate the concepts; videos which star kids, women and important computer people discussing computer science. Code.org offers four courses split by verbal/reading comprehension levels. The courses all cover similar topics, star similar computer characters, but vary in the depth of coding and computer science principles the cover. Teachers can sign up, creates classes, assign courses and track progress through one log in. It’s similar in style to Khan Academy. More importantly, they have created a system which requires NO STUDENT E-MAILS and allows the teacher to control passwords. This is a HUGE time saver. Lastly, it allows for picture or word logon passwords, which means the developmentally very young can access the site. I feel very comfortable recommending this to other special needs teachers for their classroom. I have yet to explore Code.org’s Artist and Story sandboxes in the classroom. These are little applications inside the online curriculum which allow students to create their own programs. Code.org also has incredible support for teachers too. Training is free, you get cool stuff and a full curriculum that modifies well for large or small group instruction. Here in Houston, Code.org provides fantastic instructors and CPE hours. There’s much to love and not a lot to complain about. As wonderful as Code.org can be, it does have two shortcomings: the curriculum has been built for younger viewers and it lacks a true “sandbox” feature. Once you do the puzzles, once you complete the course, a student doesn’t have an easy path to practice what they’ve learned. MIT’s Scratch platform does just that. It keeps the visual block programming style, adds a ton of bundled characters, environments, etc. and adds a robust import/customization feature. 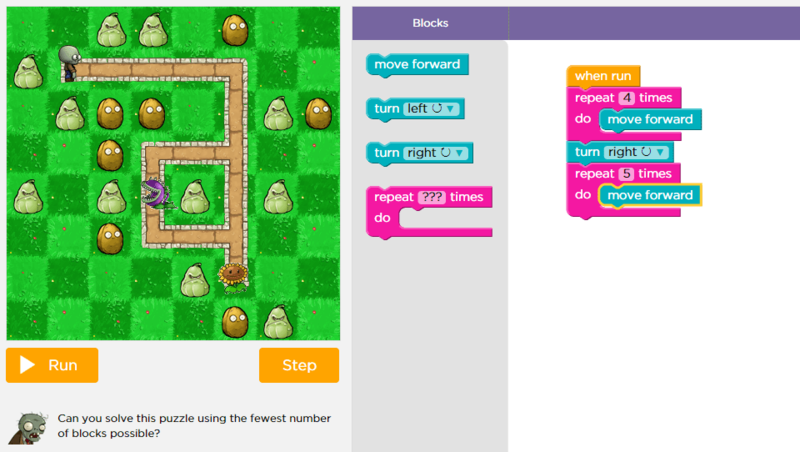 Students can create their own methods and functions, generate list and arrays. Scratch moves from a content consumption mode to a content creation mode. Scratch can be downloaded or run off the Chrome browser, giving students access to Scratch at school or home. I highly recommend No Starch Press’s Learn to Program in Scratch as a foundational text to help structure and deliver instruction in coding. While a little short on the conceptual side, I found its clear illustrations, simple language, intuitive topic coverage and strong math connections invaluable for helping design a coding course. My students completed challenges in each chapter designed to allow them to design and build their own retro-arcade style game. The unit was mostly a resounding success. You can check out the results. Scratch also makes a great jumping off point for the real world. The Makey-Makey integrates seamlessly into Scratch and the more complex micro-controllers, such as Arduino & PicoBoard can programmed using ScratchX extensions. Lots of functionality in one small, free package. For my older students, I turn to two different languages and a multitude of resources. Python is a general purpose, high-level language known for its readability which bundles with the Raspberry Pi and has a large Maker user base. Organizations such as Coursera, edX and NovoEd offer free MOOCs based in Python as an approachable language. No Starch Press has a few books which highlight this language. Integrating other Maker tools, such as Arduino, seems to be a simple process in Python. hopefully your custom domain wont thwart the follow feature; ive subscribed. someday maybe you will review my programming language (beginner/educational language that compiles to python) but it will be more useful with further documentation. im trying to write a curriculum for it; anything you can point me to on that particular aspect of teaching would be much appreciated.